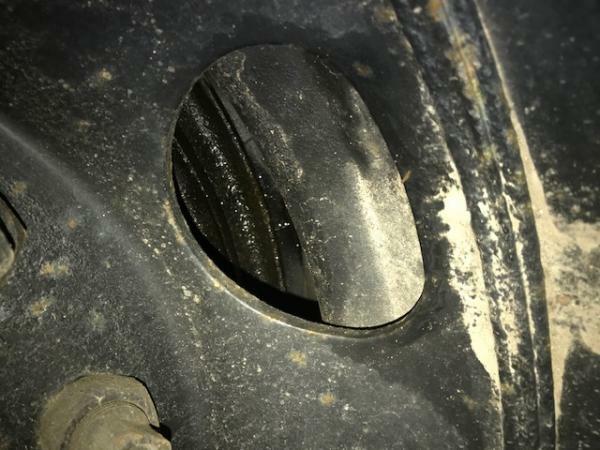 Leaking rear axle seal? Anyone had this? 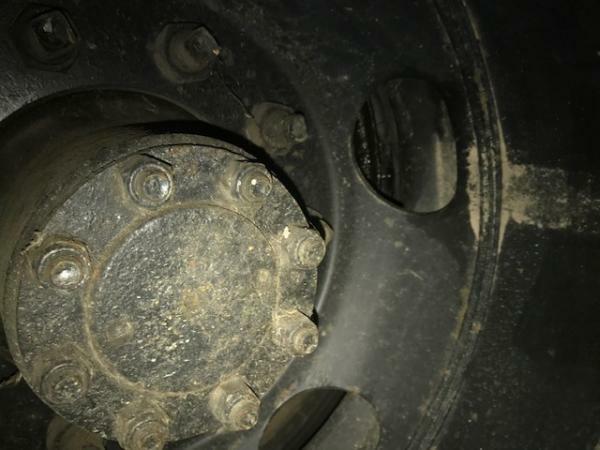 Recently ive had a leaking rear axle seal go (what it looks like anyway), however im not sure if its because we under-sprayed the bus with bitchemin and blocked up the breather on the rear axle (which i now unblocked). So initially i though that it may of caused the leak however we have not driven it really only started it, so i doubt the diff would get any pressure in it? And may be just a coincidence? Now the handbrake feels fine, but im not sure if its the braking system or the rear axle seals? 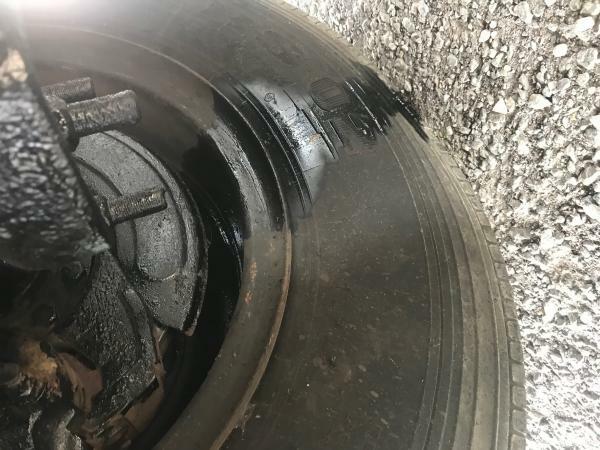 Looks like a leaking wheel seal to me. Remove the wheels, remove the brake caliper, remove the axle, remove the bearings, and finally the hub. Clean everything up, clean the spindle with emory cloth where the seal rides, install the new seal, fill the hub with gear oil, and reassemble. The trickiest part of this job is simply the size of the equipment you are working on and you'll need big tools to turn big bolts. Otherwise it's a pretty straightforward job as Johnny described. Great series on wheel removal and seal replacement here https://youtu.be/vJVaJ1Ik47M If your brake pad or shoes got oily plan on replacing them. Are you sure it isn't the brakes? Clean up the area and then apply the brakes again to see where it's coming from. Looks like a brake leak... assuming hydraulic brakes... smell and feel the texture of the leaked fluid. Gear oil has a very particular smell (stink) that you will recognize if you have ever smelled it. I too would second the notion that you need to make sure what fluid is leaking. In the one photo it appears to be too light to be gear lube leaking out of a wheel end. It appears to be much more like brake fluid than gear lube. Of course that is assuming that you have wet brakes and not air brakes. If you have air brakes then it is definitely gear lube. If you have wet brakes the emergency/hand brake is on the driveline and would have zero impact upon anything happening or not happening out at the wheel end.